Today I want to tackle the biggest mistakes home sellers will make in 2019. 1. Pricing your home too high. In the roaring home market that lasted from 2015 to basically the summer of 2018, it wasn’t as apparent how detrimental this pricing strategy can be, since the market typically caught up to overpriced homes fairly quickly. In 2019, however, pricing a home above market value in the hopes that a buyer will come along will lead to your home sitting on the market for a very long time. This can actually put you at risk of selling your home for up to 10% below market value. 2. Not making home improvements before listing. I often speak about staging your home in order to put your home’s best foot forward. In our more balanced market this year, only the best homes will be able to command the top price that you deserve. This year is going to be far more competitive than we’ve seen in a while, and deferred maintenance will stand out like a sore thumb, serving as a tool for buyers to knock thousands of dollars off of your asking price. For top dollar this year, make your home shine. "In our more balanced market this year, only the best homes will be able to command the top price that you deserve." 3. Being present for showings. Whether it’s you or your tenants, walking through a home with occupants present is uncomfortable and it creates an uneasy feeling. Homebuyers tend not to express their honest opinions if they know that the occupants of the home are listening in. This, in turn, creates missed opportunities for Realtors to handle objects and have candid conversations about solutions to any concerns that they may have about your property. In the end, this might mean that they’ll move on to the next property that doesn’t have this barrier and your home will be glossed over. I know it’s tough to pack up the family and the pets each time someone wants to view your home, but it ultimately will make your sale much more profitable. If you have any questions about this or suggestions for future topics, please feel free to reach out to me. I’d be glad to hear from you. We’re now in a balanced market, but how did we get here? Let’s look at the factors that caused the shift. If you’re a seller, don’t worry—you’ll still be able to get a great price for your home. You’ll just need to make sure your home stands out to buyers. "I want to help you take advantage of the many opportunities available in our balanced 2019 market." Buyers, there’s no need to fear paying too much on a home. There are great ways for you to avoid costly mistakes, and I’ll be covering these tactics for you in the future. I want to help you take advantage of the many opportunities available in our balanced 2019 market. If you’d like to get started on your buying or selling journey, have any questions, or need further information, feel free to reach out to me. I look forward to helping you soon. What Does an Artist’s Home Look Like? Jessica Freedman is one of my favorite local artists. I recently sat down with her for a great discussion in her beautiful home, and I’m excited to share it with you today. 0:50- Jessica’s journey to find the right home in Victoria. 1:40- What I love the most about what Jessica has done with the space she has in her home. 2:45- How the right vision led to Jessica and her family purchasing their downtown condo. 3:30- Jessica’s favorite parts of her home. 4:23- A closer look at Jessica’s artwork and how she’s been able to create and use it in her home. 6:15- Jessica’s favorite piece of art that she’s created. 7:40- A word of caution about renovating a space like Jessica’s. Thanks so much to Jessica for joining us today. If you’d like to learn more about Jessica or check out some of her art, head on over to her website. In the meantime, if you have any real estate questions or needs that I can assist with, don’t hesitate to reach out and give me a call or send me an email today. I would love to hear from you. Taco Day was incredible! Funny photos were taken, smiling faces were painted, and being in your presence reinvigorated me! I am feeling freshly inspired and ready for the fall season to begin. Thank you so much for taking the time to join me. I hope you had as much fun as I did! I wish you an amazing fall season filled with success and happiness. See you next time! Not all home renovations are wise. Here are a few that you need to avoid before selling your home. Today I want to talk about the “don'ts” of home renovations and what you should avoid when upgrading your home. 1. Over-the-top improvements. Before your minor upgrade turns into a home improvement bender, ask yourself whether potential buyers in your area are likely to pony up the cash for posh upgrades. Unless you plan on staying in your home for a long time, or you know that your neighbourhood is in a location where prospective buyers can easily afford it, stay away from the steam shower and the carved marble countertops. "You want to appeal to the greatest number of potential buyers." 2. Home office overhauls. Home offices generally don’t pay off during resales. Nobody understands more than I do that if you’re working from home, they’re an absolute must. However, you want to keep the structure of the space that you’re using so you can easily stage it or put the room back to its original purpose when it’s time to re-sell. 3. Specialized spaces. They can be so hit-or-miss. Not everyone is going to live in your space the same way you do. There is a limit to the audience that certain upgrades (wine cellars, butler’s kitchens, a rock wall, etc.) can make. Trust me, I have seen some very, very particular designs and it’s fun to be creative with your space, but when selling it's important that you appeal to the greatest number of potential buyers out there. If your space is really unique and you’re not sure how it will look on the open market, don’t hesitate to give us a call or send us an email and we’ll help you get it ready and accent it in the perfect way. If you have any other questions in the meantime, don’t hesitate to give us a call or send us an email. We look forward to hearing from you soon. If you want to buy and sell a house at the same time, there are three steps you need to take. How can you buy a new home and sell your current one without ending up temporarily homeless? Many people want to take advantage of the equity in their homes by either moving up or downsizing in our market. Just like you, though, they are worried that their current home will sell and they will have nowhere to move. 1. Have a real estate agent give you a value estimate for what your home is truly worth. This will lay the foundation for what kind of equity you have to work with and help you determine whether you can buy your next home before you sell the one you are living in. "These steps will help you pull off a polished move that really pays off." 2. Talk to a trusted mortgage advisor to determine your financing options. Can you bridge financing or does your closing date need to be the exact same on the buy side as it is on the sell side? 3. Examine your options. Is buying first OK with your bank? If so, you can start shopping. If not, you will need to sell your existing place first and then consider running a long possession to give you enough time to find your next home. These steps may seem simple, but when they are done right with all of the correct information, you will have a polished move that really pays off. If you have any more questions about buying and selling at the same time or you have any other real estate needs, please feel free to reach out to me. I would be happy to help you. Are You a House Person or a Condo Person? Are you a house person or a condo person? If you are unsure, we have a quiz to help you decide. Today I have one question for you: Should you move into a house or a condo? Even though these two home styles are so obviously different, it is not always clear which one is right for you. If you're uncertain, yourself, I've got a quiz to share that may help you decide. The two largest factors when you are trying to make this decision are budget and location. I am sure you can tell from all the cranes in the downtown skyline that condos are king in the centre of Victoria, and houses become more affordable the further you move away from the core. That is because land is more expensive in the core of the city and gets more affordable the further out you go. "Land is more affordable in the core of the city, and less expensive as you move outward." To figure out if you are a true blue city dweller or if you need wide open spaces to blossom, just answer the questions below and all will become clear. I promise. If you have any questions after completing the quiz, please feel free to reach out. We will be happy to decipher the results with you. We look forward to hearing from you soon! Answer each question below, and use our answer key and tally up your points to find out what is better for you: condo or house. b) Most of our hobbies are home-based. Question 4: Do you enjoy outdoor chores like yard work, gardening and home maintenance? Results: Tally up your points and find out whether a condo or house is better suited to your lifestyle. Aspects of condo living (convenience, price point) hold strong appeal for you, but you’re also considering a house you can grow into. It wouldn’t hurt to explore both options and adding townhouses to your criteria. PRO TIP- I also recommend adding duplexes to this particular search. They’re often overlooked when looking for a “house” but if you love certain neighbourhoods they’re a great hybrid between strata and house. They have no monthly maintenance fees or strata councils/rules and with the right design, many of them live like freestanding houses for a fraction of the cost . Why is it important to be familiar with the strata minutes in a particular condo? Find out here. Today I want to get you the skinny on strata minutes. Strata minutes are as close as you can get to knowing a strata without actually being at the meetings. We’ve read a lot of strata documents in our day, and there’s no better way to know if, say, Bob in unit 207 is still smoking on his patio (even though it’s banned) or if Sally in unit 718 is trying to remove a wall without strata approval. Done right, the minutes can feel like you’re spying on your neighbors, but they’ll give you insight into the character of the building. You won’t get that particular kind of flavor from the other documents, like the budgets or the depreciation report. You’ll find out if people have a hard time getting along, how they deal with repairs and maintenance, or if there are any security issues in the building. On the flip side of that, if the building or the complex is well-run and has good initiatives coming up, you’ll see that in the minutes, too. The meeting minutes will help you decide if a particular strata is right for you; and yes, they are long. "Minutes are a very important part of understanding the whole picture of the strata." When working on strata sales, we order the last 24 months of regular meeting minutes as well as the SGMs and the AGMs. Set some time aside on a night you’re free, put on a pot of coffee, and strap in—the minutes are a very important part of understanding the whole picture of the strata. You could also come see us; we’d gladly help you through it. Hopefully this helps you be able to better identify the condo that’s right for you. If you have any questions, please feel free to reach out to us. The last version of the law regarding speculation tax was fairly vague, but a new version has been released that is a bit clearer. Since the speculation tax was first announced last month, there has been a lot of feedback from various groups. I mentioned in my last video that the first draft of the proposal was very vague and left a lot of uncertain terms, but now there’s a second draft that gives us much more clarity. Today, I’ll let you in on what we now know. "The last version of the law regarding speculation tax was fairly vague, but a new version has been released that is a bit clearer." The definition of “long-term rental.” It’s three months’ rental for the 2018 tax year and six months’ rental with minimum one-month increments starting in the 2019 tax year. More areas are exempt from the tax. Before, only Whistler and Tofino were exempt. 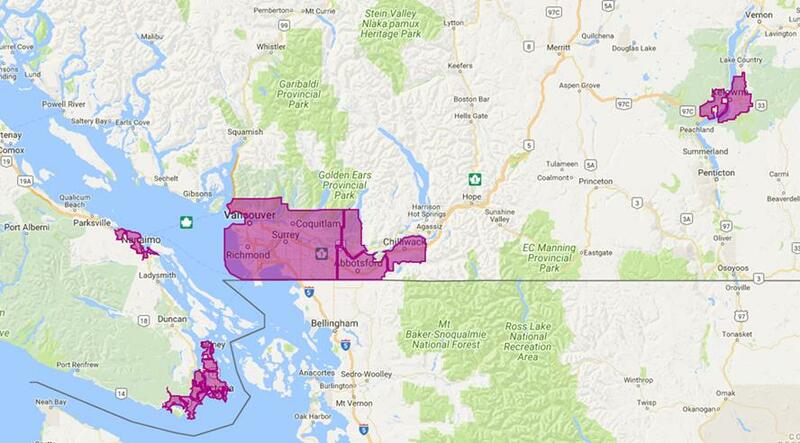 Now, Bowen Island, the Gulf Islands, and Juan de Fuca Protection Island are excluded from the tax. For a complete map of which areas are exempt, click here. The tax rate has come down for some. It’s still 2% for foreign investors and satellite families, but it’s now 1% for Canadian citizens and permanent residents who don’t live in British Columbia and 0.5% for British Columbians who are Canadian citizens or permanent residents. Possible tax credit. If you’re a BC resident who is a Canadian citizen or permanent resident, then you’ll also be eligible for a tax credit of up to $2,000 if your second property is $400,000 or less. On more expensive vacant properties, that tax only applies to the value of the property above $400,000. This still isn’t the final draft of the law, but at least it gives us a sense of where some of the revisions are headed. If you have a situation that isn’t covered in the exemptions or you feel that you might not be covered by some of these revisions, I strongly recommend talking to one of your public officials. This law is still in its proposal stage, and the feedback loop is still going. Now is the time to voice your opinion on the speculation tax. You can also visit this site for more details. If you have any questions, please feel free to reach out to me. I’d be glad to help you however I can.